a native of Chicago, IL, Derek Brockington began his dance training the Dance Asylum in Holland, Michigan. He went on to train at the Grand Rapids Ballet under Patricia Barker, before attending Interlochen Arts Academy his junior and senior year. 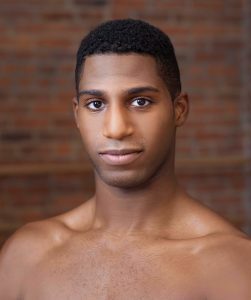 Brockington has attended summer intensives at The Pennsylvania Ballet and Ballet West, and in 2015 he competed in the Youth America Grand Prix semifinals, receiving First Place in Contemporary. Derek Brockington Reel from Derek Brockington on Vimeo.